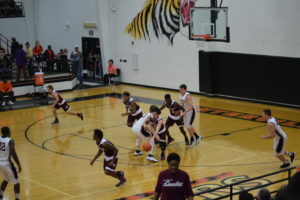 CENTERVILLE – The Grapeland Sandies blew into Centerville on a rainy Friday night and blew out the Centerville Tigers on their home court by a score of 71-31. 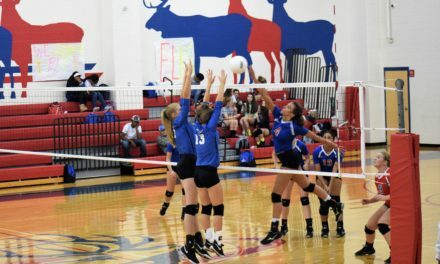 The win keeps the Sandies tied atop the standings with the Dallardsville Big Sandy Wildcats in District 20-2A and sets up a showdown between the two on Tuesday, Jan. 24. The Sandies opened the game against the Tigers and showed quickly off their range, knocking down five, first quarter 3-pointers. Tink McQuirter hit two treys, to go along with four points from the field, while Parker Wilson also dropped in a pair of 3-pointers. Riley Chipman threw one in from long distance as Tyrin Wiley netted two and Kamari Smith converted one of two from the line as the Sandies raced out to a 22-6 lead after the first eight minutes of play. The Tigers were limited to six points on a 3-pointer from Hunter Free and three points from Coleman Robinson. 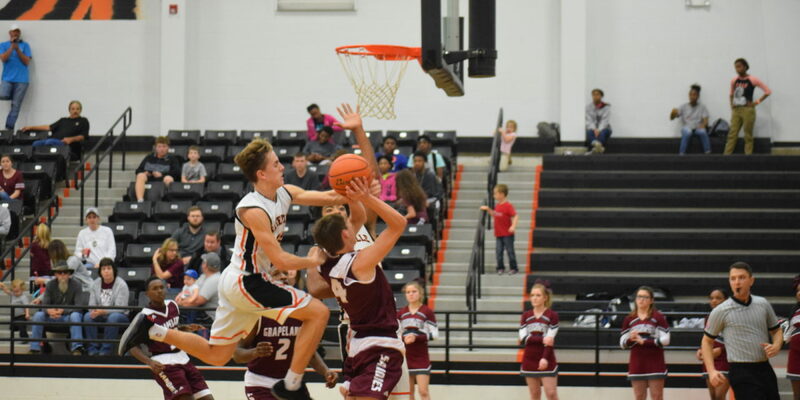 The Grapeland defense was even more tenacious in the second quarter as they held Centerville to five points on three from Alex Fletcher and two from Robinson. The Sandies, meanwhile continued to exploit the zone coverage employed by the Tigers. Chipman knocked down two 3-pointers while Rick Frauenberger scored four from down low and added a free throw. Wilson hit his third 3-pointer of the game and McQuirter converted two from the charity stripe to give Grapeland a commanding 38-11 lead as the teams headed to their respective locker rooms for halftime. After the break the Grapeland defense eased up some and allowed the Tigers to match their first half total with 11 points in the third quarter. 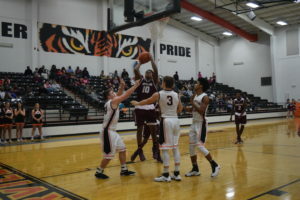 Fletcher led the Tigers with four while Robinson scored three while both Free and Brandon Madison added two. 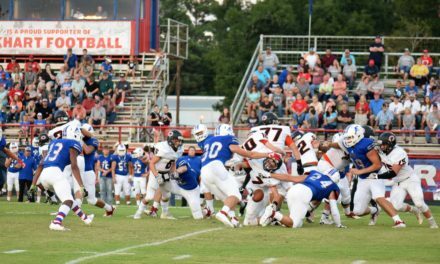 While the defense eased up, the offense was still runnin’ and gunnin’. Case Boyd broke into the scoring column with a four point play and added a second three in the quarter for good measure. Wilson nailed his fourth three of the game to go along with two free throws, McQuirter added five more to his total and Smith powered in four points from the post. With a 59-22 lead after three periods of play, Grapeland reigned it in, both offensively and defensively. 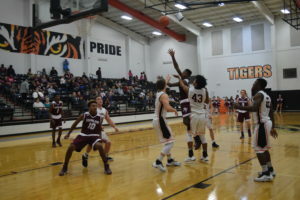 Daniel Byrd scored seven for the Tigers in the final eight minutes of play and was joined by Robinson with two points to round out the Centerville point production. McQuirter continued to lead the Sandies as he dropped in four in the fourth. Smith added three Keriaun Davis went for two and both Rodney Davis and Dacorian Bryant converted one of two from the line to help give Grapeland the 71-31 win. The Tigers were led in scoring by Coleman Robinson with 10 points. Both Daniel Byrd and Alex Fletcher dropped in seven, Hunter Free had five and Brandon Madison had two. The Sandies were led in scoring by Tink McQuirter with a game high 21 points and Parker Wilson with 15. Riley Chipman went for nine, Kamari Smith had eight and Case Boyd netted seven. Rick Frauenberger posted five, both Keriaun Davis and Tyrin Wiley scored two while Dacorian Bryant and Rodney Dav is had one apiece. Following the game, Coach Cannon Earp commented on his team’s performance. “Any time we shoot the ball like that, we are going to have some success. I have tried to preach to them that we can’t rely on that, but they’re a streaky bunch and we just kind of went that way tonight. Centerville is big and tough and that’s a bad match-up for us, but we were able to get out and run. 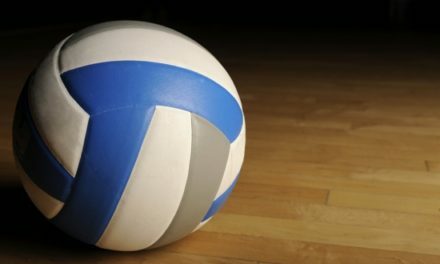 Plus, we shot the ball well,” he said. 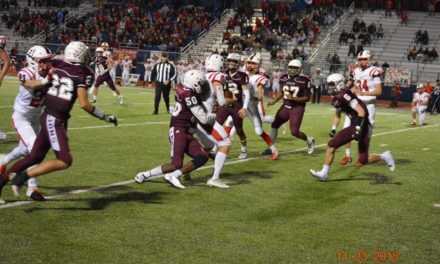 Asked if he was surprised by the physicality of Centerville, the coach replied he was not and emphasized the Tigers had just completed their football season barely one month ago. “They have some big, strong kids and they’re not afraid to get after it on the boards. That was my biggest worry – rebounding – but we did a good job,” Earp said.